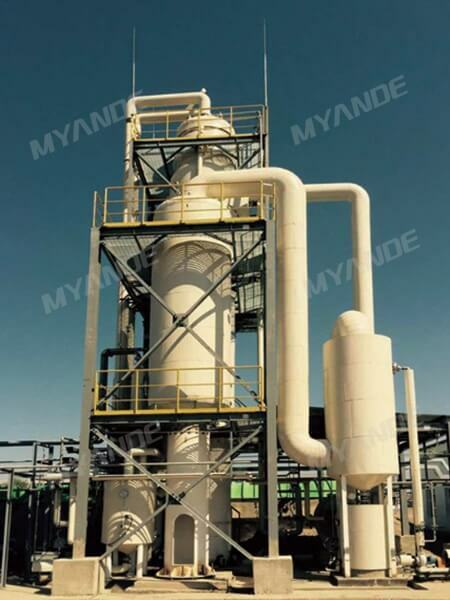 Forced Circulation Evaporator For Sale | Myande Group Co., Ltd. 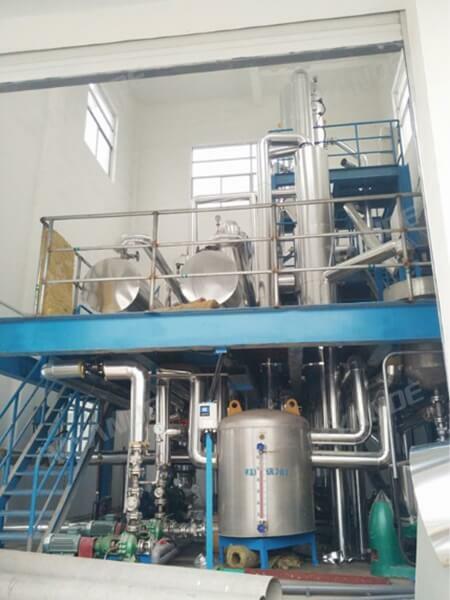 The raw material liquid is circulated through circulation pump in the heating chamber and separation chamber at a high speed and heated up in the heating chamber while flashed in the separation chamber, to achieve efficient vapour-liquid separation. The high flow speed of material liquid in the heat exchange tube can improve heat transfer efficiency. Evaporation process takes place in the separator instead of the heater. Therefore, the scaling caused by crystallization and precipitation in the tube can be effectively avoided. - Suitable for the material which is easy-scaling and high-viscosity, it can be used as a multi-effect evaporation device. - Suitable for evaporation & crystallization of salt solution. 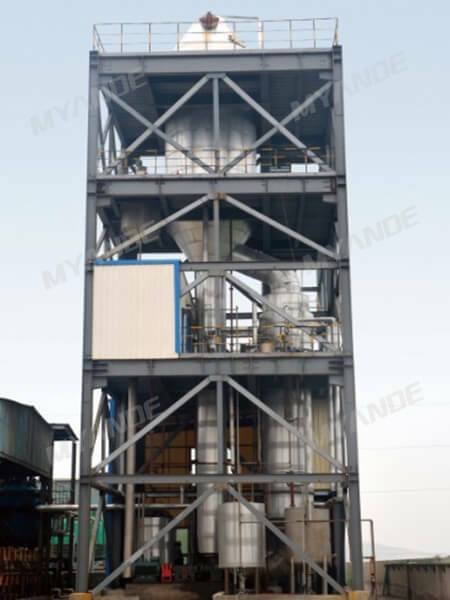 - Boiling/evaporation process takes place in the separator instead of the heater, which can effectively avoid scaling and extend the life of the evaporation system. - Reasonably configure circulation pump to ensure the circulation volume of material in the system and the flowing speed of material in the tube, to restrain scaling inside the tube.